Like so many of my patients who think about and plan for facial procedures for some time before actually “pulling the trigger,” we are finally moving forward with our office “facelift.” It is exciting to have started the project, but as many of you know, renovations are almost always slower than promised by the contractors and fraught with frustration. Now that I think about it, it is sort of like the recovery process. It is often slower than you want and sometimes frustrating. 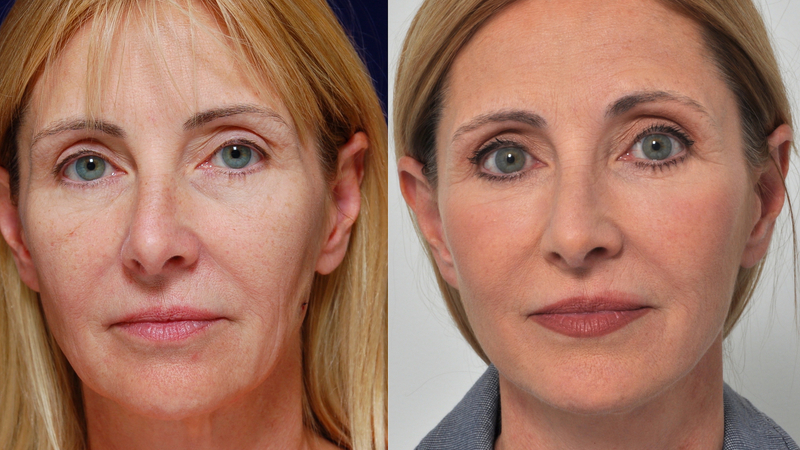 But like your facial procedures, the final result should be a refreshed, more beautiful appearance. I can’t believe that it has been 7 years since I left Emory to join Marietta Dermatology and start Marietta Facial Plastic Surgery, Laser & Aesthetics Center. Thanks to you, my loyal patients, we have been so successful. But being busy also means that the office gets a bit frayed around the edges. So when a pipe burst and we had a flood in January (which ruined carpeting and wall coverings in the front half of the office) Elaina and I recognized this as an opportunity to update and freshen the look of the office. The design process, like surgical planning, was critical. We had to pick new flooring, wall coverings and lighting that complemented existing furniture, cabinetry, and the treatment rooms. Though the process has been slow, I believe the final result will justify the wait. While we will be renovating all of the office’s public spaces, our treatment rooms and operating room were not affected by the flood and will remain the same. Therefore, we will be able to continue offering uninterrupted service to all of our patients, including my patients and our aestheticians’ clientele. We thank you in advance for your understanding as we make the office “whole” again. On another note, keeping our patients comfortable and safe during treatments is our top priority. To this end we are excited that ProNox will be arriving this month. It is a device that allows patients to safely self-administer nitrous oxide, also known as laughing gas, to reduce the discomfort and stress of procedures such as injectable fillers, BBL and Ultherapy. Have a wonderful summer and wear your sunblock!